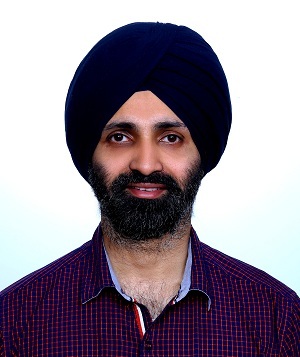 Dr. Harpreet S. Bakshi (M.S., M.Ch.) is a highly trained and experienced Cosmetic and Plastic surgeon who has keen interest in bringing the latest advancement of science to the world of beauty. With many years of practice in his kitty, he is the pioneer in his field and provides an exclusive range of cosmetic and hair transplant services to his patients. The most crucial factor that determines the success of any cosmetic surgery is the Surgeon itself! Dr. Harpreet S. Bakshi (M.S., M.Ch.) 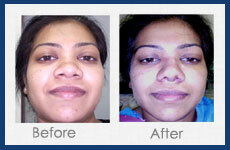 can make any of your cosmetic requirements into a comfortable, beneficial and safe surgery. 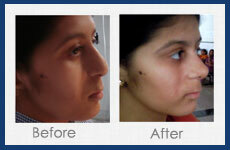 He is one of the most well-renowned and respected Plastic & Cosmetic Surgeons of India. Though his expertise is well indicated by his vast experience and training, his fine artistic skills and keen commitment to excellent care forms the base of his recognitionglobally. He firmly believes that Cosmetic& Plastic surgery is one of the dynamic, diverse and demanding specialties of the medical line. His mission is to make the process of cosmetic surgery simpler so that more people are aware of the advantages and have a pleasant and satisfactory experience. He aids his patients in taking a step forward towards a more beautiful and confident body by following the latest advancements in cosmetic surgery. Dr. Bakshi is well known not only for his surgical brilliance but also for the genuine care for the well being of his patients. 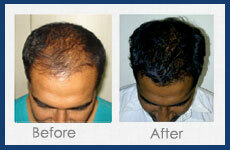 His patients continually praise him for his work and excellent skills. His patients are always at ease all thanks to his caring demeanor. This is the stepping stone of a great surgeon. His patients have full confidence in him. Apart from his cosmetic surgical procedures like breast augmentation/enhancement/tightening,nose job (Rhinoplasty), liposuction, abdominoplasty, cosmetic genital rejuvenation, facial rejuvenation / face lift, body contouring and mole / warts removal & scar revision, his long list of services also include post-traumatic and post-surgical defects, post burn deformities/scarring and defects and many others. (M.B.B.S. ), from Govt. Medical College, Amritsar. M.S.(Gen. Surgery) from Plastic & Cosmetic surgery from Govt. Med. College & S.S.G. Medical College Vadodara. M.Ch. 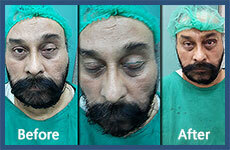 (3 year Super specialization) from Plastic & Cosmetic surgery from Govt. Med. College & S.S.G. Medical College Vadodara. Overseas training in COSMETIC SURGERY under Dr. A.R.Lari from Kuwait. He has keen interest in the latest advancements in the field of Plastic & Cosmetic Surgery & regularly attends the conferences & CME’s to update himself.